The blog may have been down, but that does not mean there weren’t any projects being worked on, finished, and made ready to share. 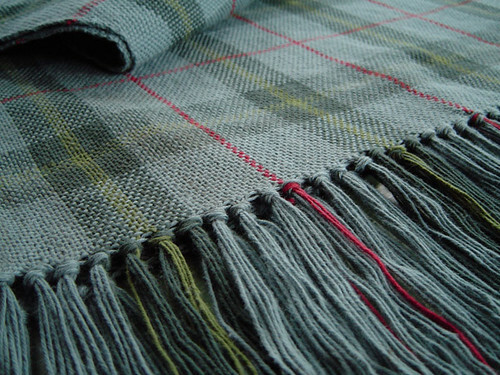 This weaving project is finally finished. It’s about 9 feet long and made from cotton “carpet warp.” It’s the perfect length for the library table sitting in our sun room. Now that Spring has been making an effort to stick around, we can put away the heavy winter blankets and enjoy this first major crochet project from Virginia. 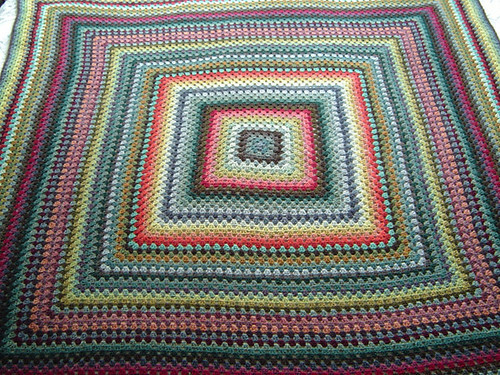 It’s one giant granny square made from Jamieson’s Spindrift… so many great colors to choose from, and having 75 rows, there was plenty of opportunity to play with color. I was wondering where you’d gotten to. v told me while i was in the shop this afternoon that you had the site back up and running. had to check it out the second i got home. Glad to see you back! And sorry to hear about the hack. Boo hackers. We just want to craft in peace! your new blog looks realy nice . 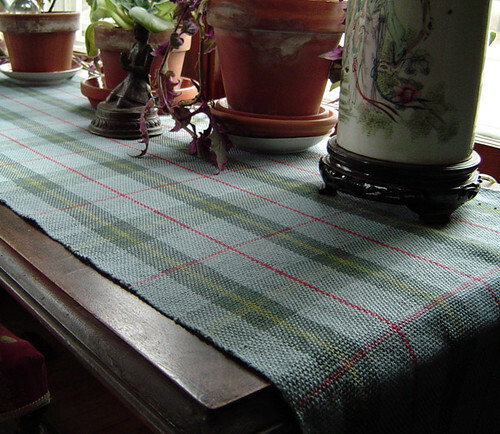 I really love the woven tablerunner! I have not tried anything this fine of a gauge yet. Your work is so beautiful.